In 2011, Wellington Nem did what every club hopes their young players can do when they are shipped out on loan for a season. He made his parent club look rather foolish for allowing him to go anywhere. Nem starred for Figueirense, scored nine league goals, picked up the Young Player of the Year award and returned to Flumienense with a starting place secured. His excellent form continued into 2012, buoyed by a call-up to the Brazilian national team for a couple of clashes with Argentina and he formed a devastating partnership with former Lyon striker Fred. The duo played a big part in the Tricolor Carioca claiming of the 2012 Serie A title as they combined wonderfully. Nem’s versatility and constant running were a huge plus for Flumienense as he started to realise his incredible potential. He can play in a host of attacking positions; operating as a second striker, dropping deeper into a three-man midfield or even out wide on the flanks. Often flexibility can stunt the growth of young players however Wellington is capable of playing his natural game in all those roles, tweaking it only slightly to suit his position on the pitch. He possesses eye-watering pace matched with sublime dribbling skills and the ability to slip a pass through the smallest of gaps. He was mentored in Brazil by former Porto and Barcelona star Deco and it’s obvious to see that he learned a lot as he puts chances of a plate for the attacking support around him. His prodigious growth lead Flumienense’s sporting director, Marcelo Teixeira, to wax lyrical about how far the young Brazilian could go in the game last year stating: “Wellington Nem will be one of the great stars of world football, no doubt. He really loves this club and deserves everything that happens to him now.” Based on the performances that helped earn him in a place on this list; we would have found it hard to disagree. However, 2013 hasn’t been more of the same. His boundless energy and positive attitude remains evident but he hasn’t managed to contribute to the same level as he did in the two years previous. He had still done enough to earn a move to Europe, with Shakhtar Donetsk identifying the 21 year-old as an ideal replacement for Dortmund-bound Henrikh Mkhitaryan. Things haven’t gone to plan and Nem has spent much of the early months in Europe on the sidelines nursing injury. Only in the last month has he started to feature in the Donetsk and that will make his first season all the harder. At a lofty 5’5, Nem is another of the diminutive starlets progressing through the game. However, without a proper pre-season, the rough and tumble of Ukrainian football may be too much for him to manage straight away. In turn, his unlikely bid for a place in the Brazilian World Cup moves further from his grasp. His speed and touch are not things that take all that long to return and he’s had brief flashes in his handful of appearances in a Shakhtar shirt so far. If he gets a consistent run in their heavily South American team, a promising partnership with either Luiz Adriano or Facundo Ferreyra could be on the cards. 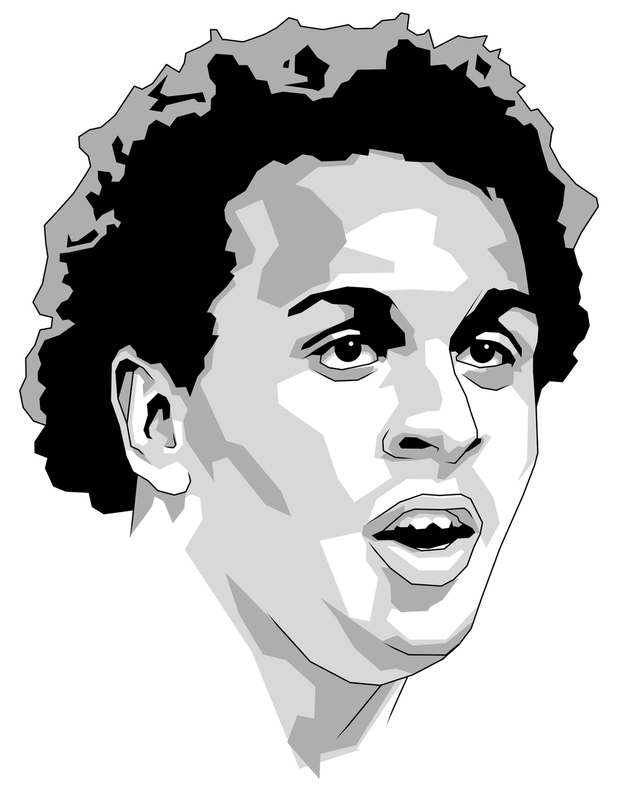 A year ago, Wellington Nem was a name constantly mentioned in the reckoning of the Brazilian World Cup. Having made his debut for the senior side in 2012, Nem showed he has all the qualities to fit into a modern attacking side. He can play across the front, can attack from all angles and has the ability and self-confidence to go it alone when isolated. His fearlessness is wonderful to watch as he takes whole defences at a time with reckless abandon. However, it’s been over a year since his last call-up and given his injury setbacks, his name is more of an outside chance than a serious contender. All he can do for now is try to impress for his new side and hope that while Luis Felipe Scolari is keeping an eye on teammate and fellow new arrival Fernando, he does enough to catch the eye. Wellington Nem, at his very best, is a delight. Quick and skillful with an eye for a goal, he’s going to develop into a wonderful attacking player. This year has been forgettable, except for the move, and he’ll want to move on quickly. He needs to start really playing. At Shakhtar, or “little Brazil” as it’s been dubbed, he’s in the perfect place to feel comfortable quickly and try to find his form again. The comfort of a Brazilian contingent around him should make that easier. Keep an eye on him as he could make a late push with a string of performances that send Shakhtar on their way to another league title. If he does, he’ll be playing exceptional football and could go as far as outshining Neymar in the summer. Maybe.